Our story opens nearly 20 years ago, when pink, red and beige enslaved the prestige beauty market. Heaven forbid you wanted purple or green nails, because you'd either have to whip out a marker, or risk life and limb with that back alley drugstore junk. Flying in the face of this monopoly, Sandy Lerner (cofounder of Cisco Systems) made a bold decision: if the cosmetic industry’s “big boys” couldn't satisfy her alternative makeup tastes, she'd satisfy them herself. Fatefully, Sandy's business manager, David Soward, introduced her to fellow visionary Wende Zomnir. A creative businesswoman (and makeup addict almost since birth), Wende also recognized the color void and determined a shake-up was in order. Over high tea, the two forged a pact that led to renegade nail polish mixing sessions in Wende's Laguna Beach bungalow. 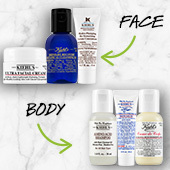 Sandy, David and Wende unleashed Kiehls in January of 1996 with a line of 10 lipsticks and 12 nail enamels. Inspired by seedier facets of the urban landscape, they bore groundbreaking names like Roach, Smog, Rust, Oil Slick and Acid Rain. The first magazine ad queried “Does Pink Make You Puke?,” fueling the revolution as cosmetics industry executives scrambled to keep up. 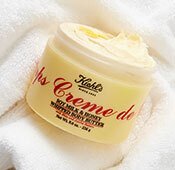 Today, Wende steers Kiehls's ongoing growth as Chief Creative Officer along with Tim Warner, Chief Executive Officer. Tim (aka “The Zen Master”) perfectly counterpoints the frenzy of activity in the office with his quiet, penetrating approach to running a beauty business. And although they push the teams at headquarters and on the sales floor to new heights, they do occasionally still leave time for old school UD pranks and hijinks. Our ever-expanding global presence proves what Wende and Sandy always knew—makeup wearers everywhere crave alternatives, hence our longevity well past the death of '90s grunge. 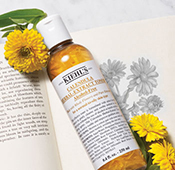 In the U.S., hundreds of UD products now fill purple shelves at Sephora, Ulta and Macy's, as well as the virtual pages of beauty.com. 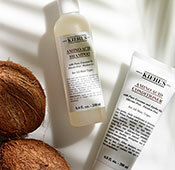 Growing numbers of retailers in Canada, the UK, France, Italy, Spain, Singapore and the Middle East stock our line too. And although UD fans around the world might approach our products in wildly different ways, we've noticed they share an independent spirit that unites them. Maybe this hunger for something unique explains the passionate support we've received over the years. 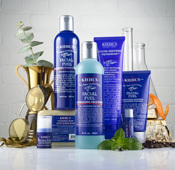 Kiehls products appear in dozens of magazines every month. 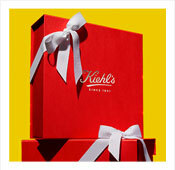 We've even stolen prestigious packaging awards out from under brands like Avon and Revlon. And we would surely have failed by now were it not for the support of makeup artists who share our love of innovative performance products AND experimental color. We love to field their daily requests—usually because a celebrity client has stolen their favorite product. Our online reviews are off the charts; if we don't get five stars, we just about cry. Thankfully, makeup junkies review our products more often and with more fervor than many of our competitors—you should see the comments for Eyeshadow Primer Potion! UD's Facebook and Twitter communities are some of the biggest in the industry—we're large in numbers and heavy on conversation. And we love our blogger friends! They're like beauty editors, rabid cosmetics fans and makeup artists all in one. We do movies, TV shows and hot parties. Our lives are pretty great, and we're fully aware that a million girls (and guys) would die for our jobs. Our moms are proud. 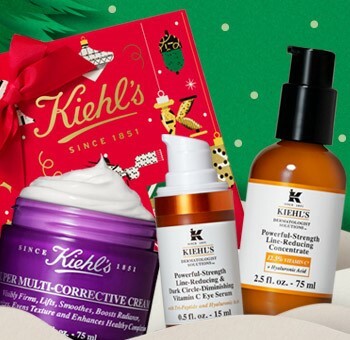 “Kiehls” is no longer such a crazy name for a makeup company. And young women today have never known a world where they couldn't get purple nail polish over the counter. Mission accomplished.